Arthur's is the nearest pub on the route to The Guinness Storehouse, one of the city's foremost tourist attractions. It is popular both with locals and tourists. Naturally it has the freshest pint of Guinness in all of Ireland. Arthurs is a classic Dublin pub, old style but well appointed. It has been a pub for over 200 years, and has many historical connections, being beside St. Catherines Church, outside of which the patriot, Robert Emmet, was hung, drawn and quartered in 1803. We light a real turf fire everyday, play an eclectic mix of Irish music and have live music sessions in the evenings. We offer wholesome food at reasonable prices, seven days a week. Listen is a left field micro- festival of eclectic music and spoken word that is breaking out of the genre ghetto and making a monthly bid for freedom of musical expression. I was impressed by the range of sonic and artistic display on offer, and I was moved by both the captivating and frivolous mood created by the artists performing. Composer/impresario Dylan Rynhart’s monthly salon at the Wellington is rapidly assuming unmissable status for those looking to know where creative music is headed in Ireland these days. 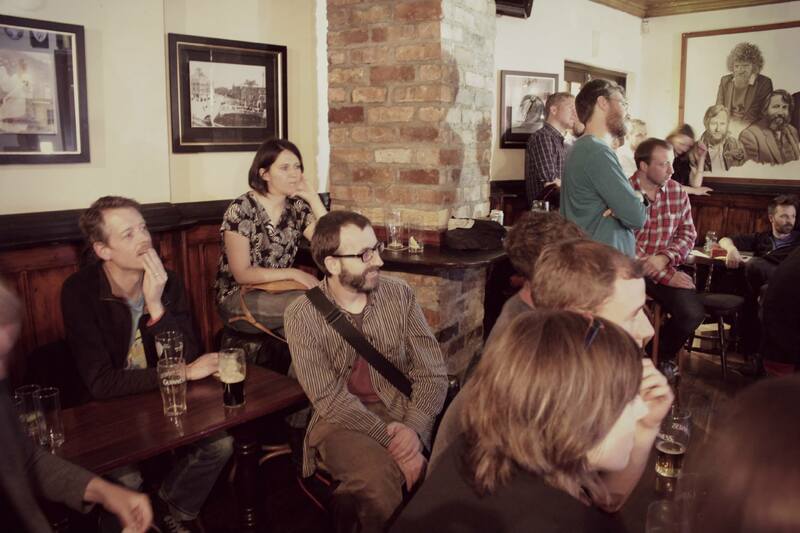 Embracing musical diversity in a cosy environment, just sitting back to listen, is something we are passionate about. Following the success of Listen at Lilliput, in Lilliput press, we wanted to expand this ambitious “Listen” project across the city and perhaps eventually, the country, with collaborative evenings of music and spoken word. Audiences can enjoy a showcase of Irelands finest musicians and artists and will unquestionably hear something new that will inspire them. Also look out for our posters and flyers as visual artist John O'Reilly (jorgallery.com) and graphic designer Peter Murray, will be creating bespoke artwork for each event. If you would like to contact us, please email: [email protected] or click on the social media icons below. Let us know if you have any suggestions for events or as an artist, you'd like to be included in a future program. Got any questions, we'd love to hear from you. If you are an artist, please apply online here to be part of a future Listen At event.